Photo: Whipple-Lacy House, ca. 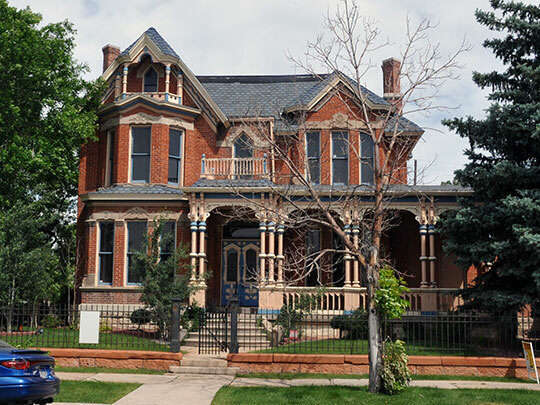 1883, 300 East 17th Street, Cheyenne, WY. Listed on the National Register of Historic Places in 1980. Photographed by User:Jerrye & Roy Klotz MD (own work), 2013, [cc-by-3.0 (creativecommons.org/licenses/by/3.0)], via Wikimedia Commons, accessed July, 2013. Laramie County administrative offices are located at 309 West 20th Street, Cheyenne, WY 82001; phone: 307-633-4264. Laramie was the first county to be established in the newly organized (1867) Territory of Wyoming. Although its original size was significantly decreased with the creation of Platte and Goshen counties in 1911, Laramie remains in area larger than the State of Delaware.